This simple but chic crop top is a must-have for any occasion. 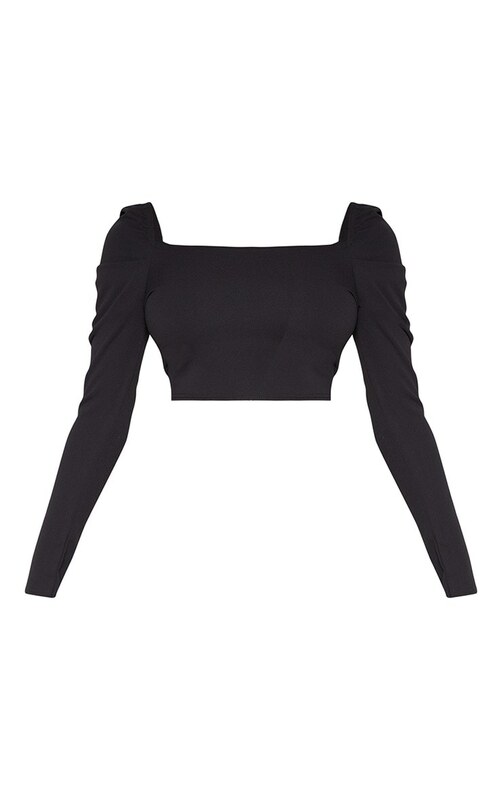 Featuring a black material with a square neckline, long sleeves and a cropped length. Team this with wide-leg bottoms and a pair of statement heels for date night.